Vocational training provides job-specific technical training for trades. Vocational training generally focuses on providing students with hands-on instruction, and can lead to certification, a diploma or certificate. Vocational training can also give applicants an edge in job searches, since they already have the certifiable knowledge they need to enter the work field. 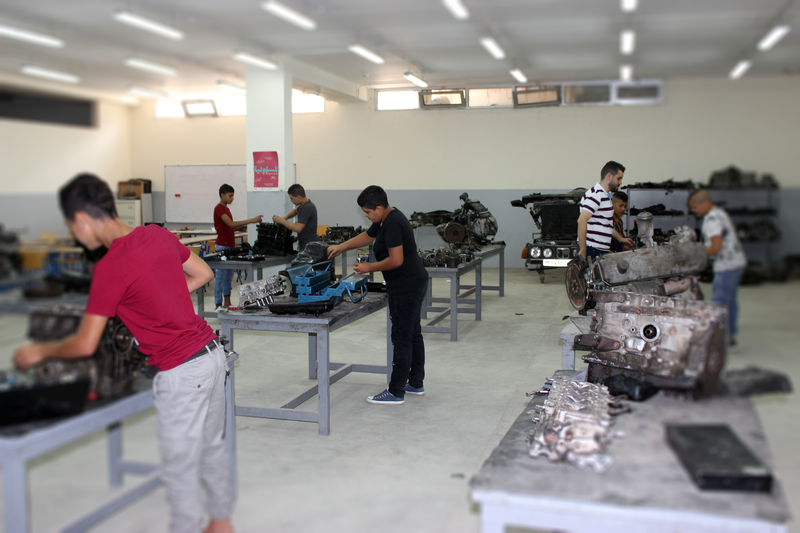 This course entitles a student to fix modern cars, use computer to read maps and to be in change of a department of car maintenance workers. 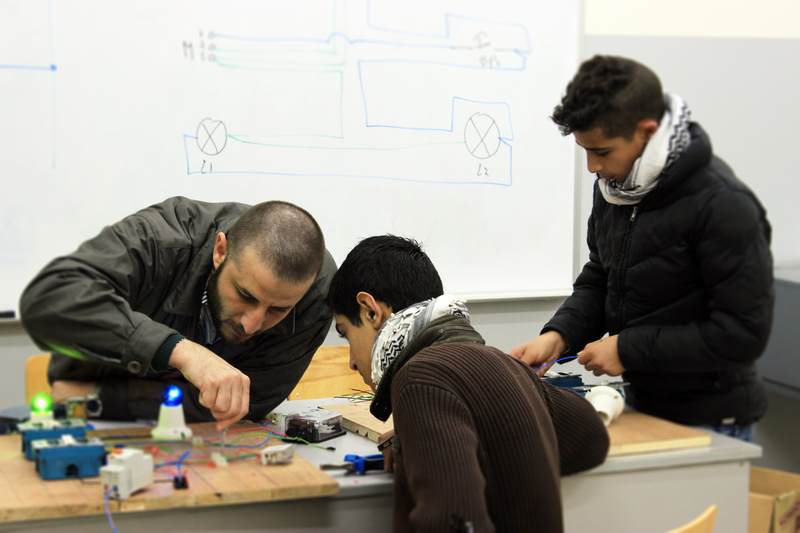 Teaching students electricity principles and practices on wiring that entitles a student to be an electrician. After the advances that our daily life witnesses, the challenges are increasing and so it is very important to have training courses that would entitle care givers provide the needed care. Education: Introduction to education science. 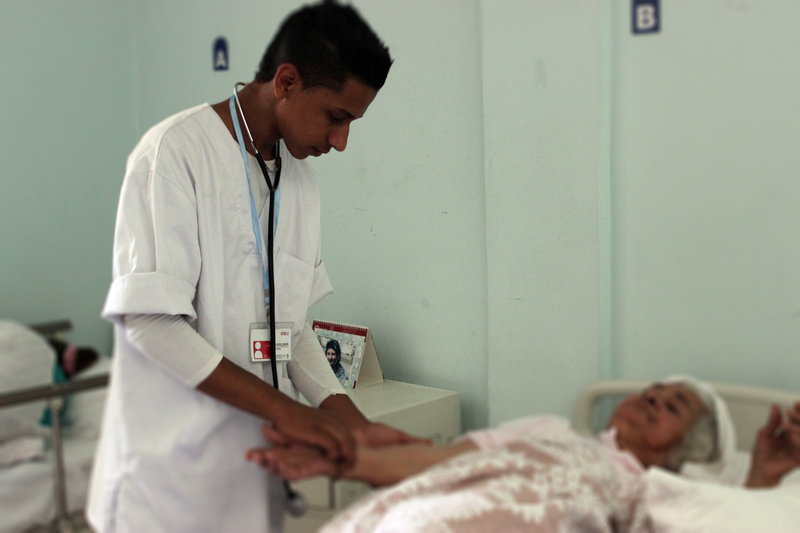 A trainer will be able to follow-up elderly people and provide care to them whether at homes or in care centers. This course is highly demanded due to the lack of knowledge sometimes on how to deal with elderly people. Aging disorders and how to manage them. How to give medicines to elderly people. Practice at elderly care centers. Introduction on health issues related to elderly people. At the end of the course, a student will be able to work as a mobile maintenance technician. know how mobile device works with the communication pillar and the local networks. learn and fix the various technical errors. train practically on different mobile technical errors in various models. train practically on software devices. This course entitles a student to work in refrigeration and air conditioning institutions, work in commercial centers as a maintenance worker, work in air conditioners selling shops, or run his/her own business in fixing air conditioners due to the high demand in this field. 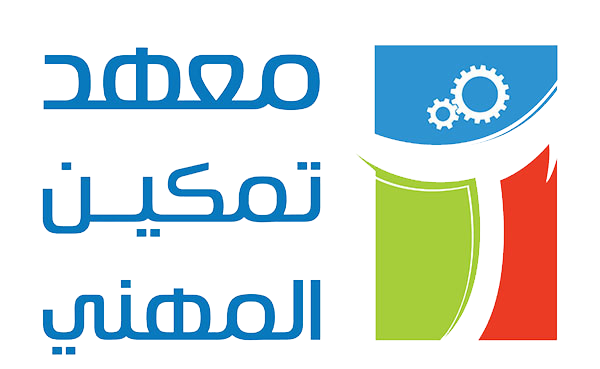 Entitling students to work in modern car maintenance workshops using computers to read maps and manufactures instructions ,using modern diagnosis techniques that would allow students to work and run his own workshops. explanation of general safety rules. explanation and diagnosis of technical errors of engine system. explanation and diagnosis of injection systems and its technical errors. explanation and diagnosis of ignition systems and its technical errors. explanation and diagnosis of gear box and its technical errors. explanation and diagnosis of suspension system and its technical errors. explanation and diagnosis of electronic circuits and its technical errors. explanation and diagnosis of safety and protection system.